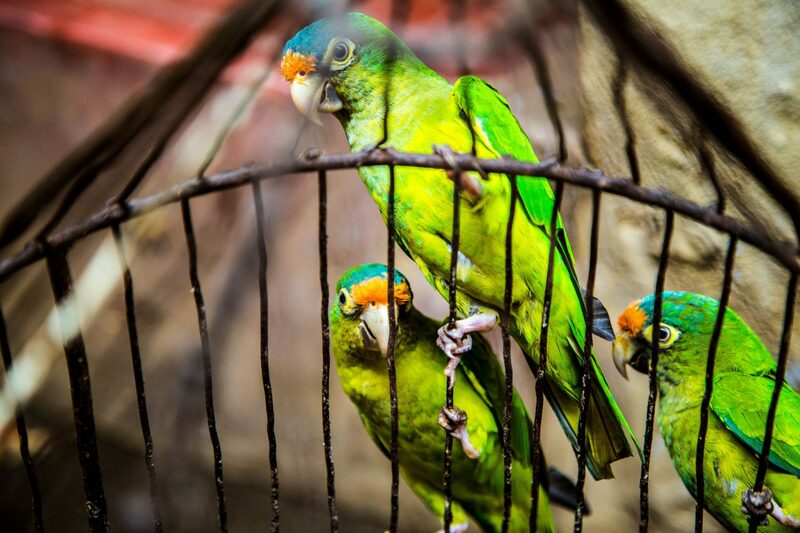 Finding the Best Bird Cage For Lovebirds is easier than you think. Here’s a look at our favorites, including our top pick – Hagen Vision Medium Bird Cage. All of the bird cages in our buyer’s guide feature everything you need to properly house your bird in comfort and style. 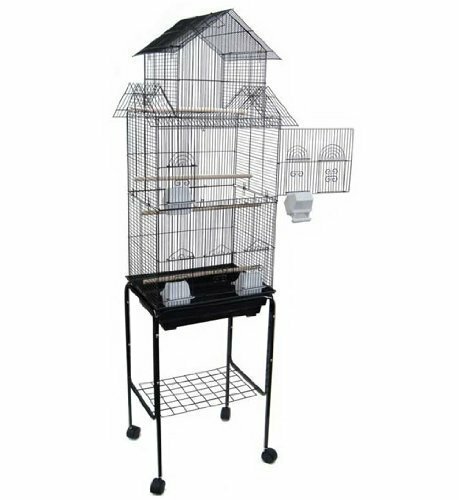 Adequate size and handy features like detachable bases to remove waste easily and effectively are important to keep in mind when you’re shopping for your new bird cage. Perfect for first time lovebird owners who are testing out the waters with a solo lovebird, the Hagen Vision Medium Bird Cage is reasonably priced and is a fantastic home for lovebirds. Lovebirds are known to be a little messy but this cage helps keep that mess contained. The cage is set up with a detachable base and debris guard to make cleanup effortless. It comes equipped with perches and food and water dishes so that all you have to do is pick out the perfect toys for your lovebird. The Vision Medium Bird Cage isn’t overwhelming in size but still gives your lovebird enough room to feel comfortable in its new environment. 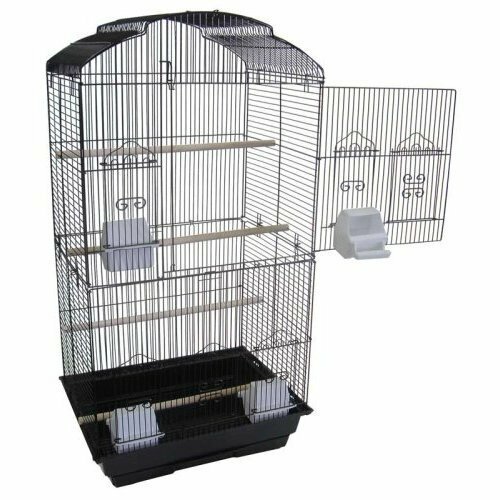 With a very similar setup to the Vision’s Medium Bird Cage, the Large model is setup perfectly for customers who want a more permanent cage. The Vision Large Birdcage has three stories ideal for dedicating each area to something unique. This cage does not come with a stand and it is important to make sure you have something large enough to hold this cage, it is not very heavy but it does take up some space. The lightweight frame makes this cage easy to move around and lift for cleaning and re-arranging. 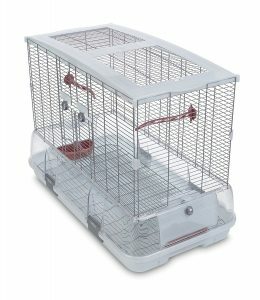 Compared to the medium model this cage could fit two or more lovebirds comfortably with no issues. This also has a debris guard in order to protect your floors from a messy lovebird. Moving away from Vision Bird cage’s now, let’s head into our 2nd choice. 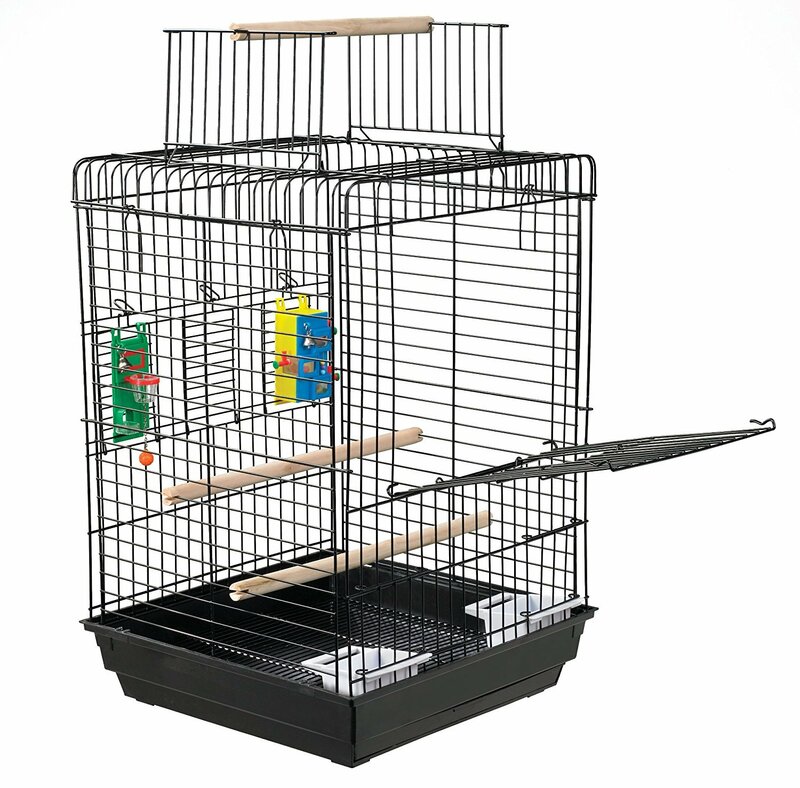 Give your lovebirds all the space they could ever need with this large and durable cage. 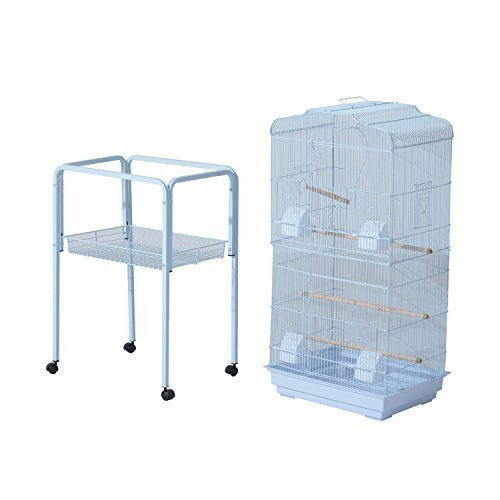 Mcage’s Canary Parakeet Cockatiel Lovebird Finch Bird Cage comes with a removable stand so that the cage can be placed elsewhere in your home. The stand has a shelf underneath which is perfect for organizing and storing all treats and toys that you might have lying around the house. The rolling stand is very portable and easy to roll outside if you are looking to do a deep clean or even if you want your birds to enjoy some fresh air. This cage has almost everything you need! It comes with perches, feeder cups, and a pull out plastic tray. The Pawhut Bird Cage is a spacey abode that your lovebirds are sure to enjoy! It has a slide out tray underneath the cage so that you can empty it easily. The Pawhut Bird Cage has plenty of room for your lovebirds daily activities. The cage has a rolling stand that make it easy to move around it also is completely detachable from the stand and has a handle at the top so that you can handle the cage with ease. If you’re looking to buy a forever home for your lovebird this Pawhut Bird cage itself is built to last with its steel wire, powder-coated metal, and wooden perches. Kaytee’s Play n Learn Cage for Cockatiel’s is actually perfect for any solo lovebird. Too much space can make a bird feel overwhelmed and lonely. 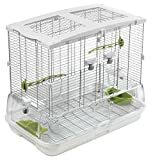 This cage is small enough to maintain and large enough to give your lovebird enough space for stimulating activity. The spacing is a little wide so additional screening might be required if your lovebird likes to try and escape the cage. This cage comes with wooden perches and food/water cups so that all you need to complete everything is your lovebird and it’s favorite toys! Finally, I’ve saved our favorite birdcage for last. The Mcage Tall Pagoda House is the best castle for your lovebird royalty. The style of this cage is so cute that you and your lovebirds will want to show off this property to everybody who comes to visit. This cage does come with a rolling stand like many of the other cages do and is also completely detachable from the stand so that you can put it wherever you please. It also comes with a removable bottom metal grate and a pull out plastic tray. When the bottom of the cage starts to get some build up you can effortlessly remove the grate and tray for a deep clean.